Don't let your competitors get the drop on you! 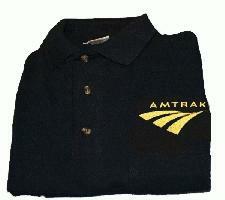 Help To promote your business details and company logo upon our Embroidered WorkWear with Logo. Just choose the item of clothing that you like the best from our extensive range and we will ensure that they all get Embroidered with your personal details and company logo to help you to stay advertised at all times. So help to advertise your business details and company logo upon our Embroidered WorkWear with Logo. More of our WorkWear with Logo here. To find out more about our WorkWear with Logo click here and fill in the contact form and we'll be in touch. Other promotional and personalised items besides our WorkWear with Logo click here to view our entire range.